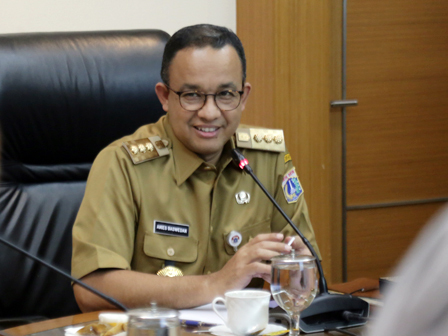 Jakarta Governor, Anies Baswedan hoped, the Computer-based National Exam (UNBK) in Jakarta could be applied 100 percent this year.
" Hopefully the UNBK this year can run 100 percent"
"Hopefully the UNBK this year can run 100 percent. Because this facilitates all and we as organizers do not bother to supervise," he expressed, at City Hall, Tuesday (2/6). According to him, students who take these exams are also accustomed to using technology. Thus they are believed to have no difficulty working on the exam with the existing system. "For today's generation children working on the exam via digital is much more familiar," he told. Based on temporary data, all schools in Jakarta will hold UNBK. While the number of students who will take the exam is 54,000 for SMA students and 64,000 for SMK students. The number of examinees will still be validated again.